Cadbury India on Thursday, November 18, said it will start local manufacturing of parent Kraft Foods' orange drink Tang, while it will also embark on a capacity expansion for its confectionery products. "We will start local manufacturing of Tang in India. We are rejuvenating it and we will start producing it within this fiscal," Cadbury India managing director, Anand Kripalu told the reporters in New Delhi, on the sidelines of a CII event. He said Tang, which has been imported from Thailand to serve the Indian market so far, will be produced at Kraft's Hyderabad plant. "It is a legacy plant of Kraft in Hyderabad, which has not been utilised. We will start manufacturing there," he said. Cadbury India came under the Kraft Foods fold after the US-based firm acquired British candy maker, Cadbury Plc for $19.6 billion in January this year. Asked if Cadbury India will be selling more products from Kraft portfolio, Kripalu said, "As of now we are still focusing on our core confectionery business." He, however, said integration process is still going on in terms of synergising distribution channels of Cadbury and Kraft in India. Commenting on the overall plans of Cadbury India, he said, "Capacity is a challenge for us, as we look to drive up volumes. We need to expand it and we will be doing it significantly." He said the expansions will take place at the company's existing six facilities in India, but declined to share details such as investments and envisaged additional output. 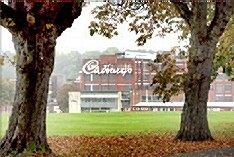 Cadbury sells chocolate brands, including Cadbury Dairy Milk, 5 Star and Perk, along with snacks Cadbury Bytes and health drink Bournvita among others in India.